Scenario – Male snorkeler floating unresponsive in water, following likely intracerebral event. Scene – Offshore recovery. Strop winch by paramedic into aircraft with initial assessment on board then further assessment and treatment at landing site on nearby headland. Patient – Cold and wet in wetsuit. Poor airway control. Poor ventilation. Weak pulse. Progresses to seizures and recurrent vomiting. 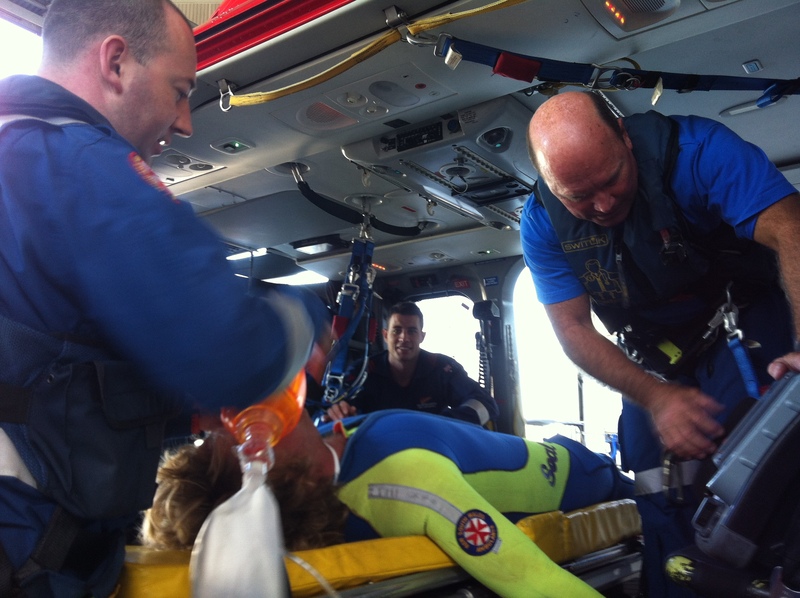 Challenges – Airway control, vascular access, seizure management, requirement for RSI.